How Do You Recover When Your Customers Get Angry? Elchonon and Yosef Hellinger are brothers who run a company that did nearly $1 mil in sales. Then had a huge setback. You’ll hear about the setback and how they rebounded, in this interview. Elchonon launched the business and says that because of mismanagement, he lost his customers’ trust and his ability to process orders — no PayPal, Google Checkout or even credit card processing — which landed him in debt. So he moved back home, got his brother to help out and turned around their business, ThriftyComputer, which sells electronics online. Elchonon and Yosef Hellinger are the brothers behind ThriftyComputer, a company that launched in 2003 which sells mobile phones and computer accessories online. Hey, before we get started, if you need a web app built or a mobile app built, who do you call? Checkout Kumbia.com. They’ll take your idea from PowerPoint to product in just a few weeks. And when you go to Kumbia.com, I recommend you look at that top tab, the one that says “work” on it, to see their previous work and understand what Kumbia can do for you. From a minimum viable product to a full-blown web app, they have you covered. They work in Ruby on Rails for web. They can build an IOS and Android app for mobile. Kumbia.com. And if you need a phone service, a phone number, who do I recommend? Grasshopper.com. Because with Grasshopper.com you can get unlimited extensions. That means that when a caller calls your company, they can basically be screened before they come to you. If they’re looking for sales, you direct them to one place. If they’re looking for Tech support, to another place. If they’re looking to just get on your blog, maybe they go into voicemail and you respond to them when you have a chance. Lots of extra features at Grasshopper.com. That’s one of my favorites. Go to Grasshopper.com and understand why the virtual phone system that they create is the one that entrepreneurs love. Finally, if you need a lawyer as a tech entrepreneur, you need to talk to Scott Edward Walker of Walker Corporate Law. Why? Because if you go to the high-end law firms, they’re going to charge you an arm and a leg and probably expect to take a piece of your business. They’ll want shares in many cases. Or if you go to the Mom and Pop law firm, the one that your friend recommends, that lawyer is probably not going to understand the issues that you go through as a tech entrepreneur. I recommend go to the guy who specializes in startup entrepreneurs, Scott Edward Walker of Walker Corporate Law. Andrew: Hey, everyone. My name is Andrew Warner. 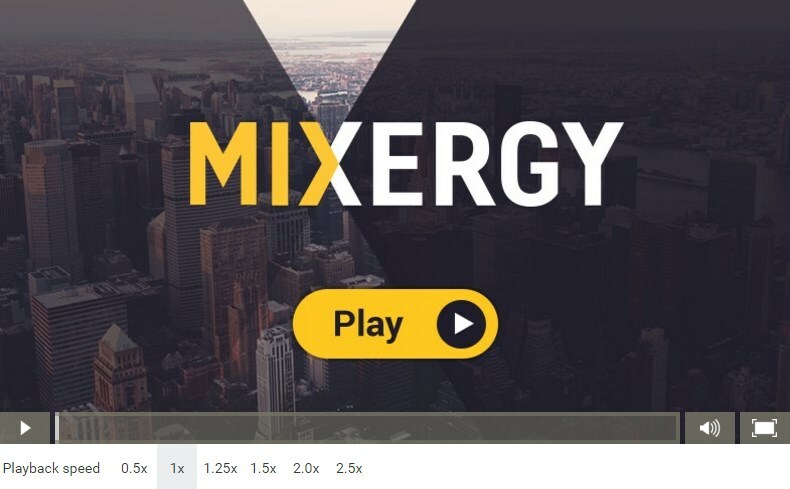 I’m the founder of Mixergy.com, home of the ambitious upstart and the place where entrepreneurs come to tell the story of how they built their businesses. Joining me today are two brothers who run a company that did nearly a million dollars in sales and then had a huge, huge setback. Elchonon, who’s on the left, and Yosef Hellinger head Thrifty Computer, an online electronic store that sells mobile phones and computer accessories. Elchonon, the guy on the left, launched the business and says that because of his partner’s mismanagement, he lost his customers’ trust and his ability to process orders. That means no PayPal, Google Checkout, no credit card processing of any kind which for a business like that, you can imagine, is devastating. To turn things around, he moved back into his parents’ home, slept in the same room as his younger siblings, and he asked his brother Yosef, who’s on the right, to help him run the company. So, guys, thanks for doing the interview here. Andrew: At the height, Yosef, how big was the business in sales? Yosef: You mean like numbers-wise? Yosef: Yeah, we did around $900,000. Andrew: $900,000 one year. Which year was that? Yosef: I don’t know the exact. I wasn’t involved with the money part of it. Yosef: I know the stuff that was moving out, the product, it was large quantities. Andrew: OK. You want to ask your brother? Elchonon: In 2009, we reported approximately, well, close to $900,000 in sales. It was significantly higher, but this is what we ended up with for 2009. Here’s 2010 numbers. Andrew: OK. I think I’ve got a sense of it. And by the way, Yosef, can you tell people why we’re asking you to pass some of the questions on to your brother? Yosef: Oh, sure. My brother, he’s legally deaf. He does have an implant in his head which helps him hear sounds and able to lip read much better. So I’m going to be repeating the questions to my brother so he can answer them. Andrew: OK. Yeah, this is kind of a different interview for us. I think I’ve got you in the office with people making phone calls in the background. I’ve got two people instead of one person on the call. And we’re going to get a little bit of help in passing the questions on. We’ll do what we can. My goal here is to get as broad a collection of entrepreneurs as possible which means that this can’t be like CNBC where everyone comes across clearly and perfectly, and they’re all in a studio. I want to come in and understand your world from your world. So let me ask this other question just to set this up. At your low, how much debt was your brother in, at his low when he moved back home? Elchonon: What was the question? Yosef: How much debt, at the lowest part when you moved back in the house, were you in? Elchonon: How much debt was what? Yosef: Where were you in when you moved back home? Elchonon: We owed over $100,000, possibly $130,000. Andrew: OK. OK. Alright. So over $100,000 personal debt, as I understand it, and well, actually, I’m looking here at the notes that you sent me before and it said $65,000. Why the discrepancy? Yosef: Before, in the notes. Yosef: No, you wrote in the notes. Elchonon: Yeah, that we paid down? Yosef: That you started off, that you had $65,000 in debt. Elchonon: We had one debt that was disputed and was in arbitration, so, various debts that depending on the status, it’s really hard to gauge what point the debt we had at that point. We had $65,000 of personal debt in here and another debt that we had to work out. I had to assume about $8900 of debt that was due to one of our suppliers and a friend of mine, that was actually in my old partner’s name, but they had no intentions of paying it. So, I said to him, you know, if they’re not going to pay it, and me and you are friends, and, you know, it was part of my company, so I took the debt and he’s not pressing us like crazy, I’ve paid down part of it, so he’s not pressing us, so the debt has actually grown by $9000 since, but it’s not new debt. We’ve not actually accrued any new debt in almost two years. Andrew: OK. Alright, to be honest I didn’t understand all the details of what happened there, but it seems like it was just a lot of debt, and let’s see if we can go through and understand how we got there. So, where did the original idea come from? Elchonon, how did you get into the business? Yosef: How did you get into the business? Andrew: Sorry, I’m not following the train of thought here. So what happened… You’re just setting up the industry and telling me what it was like at the time? Yosef: Yeah. That’s what he’s trying to do. Andrew: … may be easier to explain this. But I don’t think I can guide you properly if we can’t have a dialogue back and forth. I want to do this interview, but I don’t think it’s going to come across well. I don’t think we’re going to be able to have the interaction where I can guide you towards the clear narrative and describe the story well enough to the audience. Yosef: Right. He said he doesn’t think the way, going back and forth, is not going out. He’s not going to bring out what you want to bring out to explain to the audience. Elchonon: OK. So I should explain what? Yosef. No, I’m saying, you have to figure out a way that you’re only talking about the subject, and don’t jump around. Andrew: No, I’m actually saying that I don’t think we should be doing the interview. I’m thinking that if, this is a good story and I want to get it out there. But I don’t think I could do a clear enough job. I mean, I don’t think I’m going to be able to shape this story and guide the narrative properly with this way. As it is, Skype is tough enough. Yosef: Right. He said he doesn’t think it will work through interview. Yosef: He doesn’t think it will work through interview. Yosef: What we’re trying to do. Yosef: He said he doesn’t think it will work. It’s a good story. Yosef: He says it’s a very good story. Elchonon: So, why doesn’t he interview you? Yosef: He cannot explain the information and let you know what’s going on. He can’t talk back and forth with you. Elchonon: So, why doesn’t he talk with you? Andrew: I’m okay with that if you want to give that a shot, Yosef. Yosef: I guess we could do that. I don’t know as much, but I can say what I know. Andrew: All right. Let’s do it. And I’m not editing any of this out. We’re just gonna roll with it as is and let the audience see the process as it unfolds. So, let’s keep Elchonon around and, of course, as part of this conversation. But maybe, Yosef, you could guide it. Andrew: Help me understand, take me back. What year did the idea come from, and where did the idea come from? Yosef: We started in 2008, okay. And he was living out of the country then. And he started as, you know, I don’t know explicitly but he started just drop shipping, just computer accessories. You know, you’ve got a lot, whether it’s webcams, mice, keyboards. And it was very like perfect stuff. Andrew: So he knew someone who could get him the supplies and ship it out to his customers. His job was to sell it online. Yosef: That was it. That’s all he did. Andrew: How did he sell? Did he sell it on eBay, or did he create his own site? Yosef: Right then, all he had was eBay. Yosef: We would even get, and I’m living at home then, we would get here in the mail cashier’s checks and stuff like that in the mail. It paid for the stuff, and he had the same company that sent it out and took back the returns. So he didn’t have to get involved with the product then. Andrew: OK. What was it about his ability to sell that helped make so many sales? Why was he so much better at selling than his friend, who was drop shipping for him? Yosef: Well, his friend is drop shipping, still. And he friend has one of the highest rankings on eBay. Yosef: But it’s just, he’s very good at selling on eBay. He’s very good at learning the market. Andrew: What makes him good? I want to understand, even if we go back to 2008 and understand what was special about his selling back then. I think we can learn a lot from that process. What was it? Yosef: He has a good touch for the market and what people want. I don’t even know how he does it sometimes. But he searches online, what sells, what buys, prices. Andrew: How does he do it? Help me understand that process. Yosef: I wouldn’t know exactly. I’d love to though. Yosef: He just seems to be very good at things. Whatever he lists, he somehow gets it to sell, and it moves. Andrew: OK. So he was able to get it to sell. I wish we could get at how he did it, but let’s see if we can get more value as we proceed with the story. So, he was selling online. Things were going okay. Where did the partners come from? Yosef: OK. Well, basically what happened was, eventually he came back from out of the States, and he started dropping a little bit more on companies. He started with the wireless, you know, phones, and Bluetooth. And then he decided to start working holding stock. He started keeping stock, and he was selling stuff. And it happened that one of the suppliers he was selling with, some of the stock wasn’t good. So it started affecting the business. And he was growing also, so he needed to move out of where he was then. It was small. So he had two other friends, partners, and he decided to go with them. They were just gonna share a warehouse together, at first. And they were doing their own thing. He was doing his thing. And eventually, they decided to come in and help him run the business because he can’t hear, and has to start doing customer service, ‘cuz he was building a bigger business. Andrew: I see. And so, if the product that he was originally bringing in was defective, how does he go from that? Or had some defects? Yosef: He stopped buying from them, that supplier. Andrew: I see. OK. So he stopped buying from that supplier, but the idea of taking inventory was still a good one, and that’s what he expanded on. Andrew: So, at first he partnered with someone just on the space. And then, how did they do to become partners in the business? Yosef: Because it was getting too hard for him to just do everything himself. ‘Cuz, he had one worker who was working for him. He’d just moved on. He just was over with what he was doing. He moved on to something else. He wasn’t interested in working in this industry. So, he needed to hire some other workers, so he hired me. Plus, he needed somebody to help him with customer service ‘cuz he can’t do that. He can’t work with people on the phone, and sales these days are mostly done on the phone. Yosef: Which he can’t do. Andrew: Right. I saw, even as you and I were getting ready to start this session, or he and I were getting ready to start the session, you in the background were on the phone talking to customers and clearing things up with them. And I was listening in on that. So, it was because he wanted to just leave the business running on its own and go take a break to do other things. Is that why he needed a partner to trust them? To trust? Yosef: Yes, to some extent. He was still behind it, running it, but he didn’t have enough time in his day to do all the things that had to be done himself. It was not possible fit. Andrew: What’s the other thing that he wanted to go do? Yosef: Oh, he was in New York for a little bit, just studying. Yosef: He had to come back ‘cuz he had to work on the company. Andrew: OK. So then, you’re in the business day to day doing what at the time? Yosef: I was shipping. I was testing out product packing. Basically, whatever was involved in the warehouse, that was my job. Andrew: OK. And he was, well who was writing the ads and selling the product online? Yosef: Those were his two partners, [??]. He was doing more of the site, and they were doing like, eBay. They were doing both. And basically, doing it all together. But they were doing more of the customer service and calling for sales. Andrew: Calling for sales. So you guys were doing outbound calls to get customers? Yosef: No, we’d get a lot of calls from the site. People would call up from the site and that’s when they’d find us. They’d call up and say, I want to order this, and this, and Blackberry’s. And they want to talk to you. They want to come meet you and see the product. Andrew: So, these were people who were buying multiple products. Why? Yosef: Well they’d take them to South America, ‘cuz we’re located in Miami. So you have a lot of people who come here and they’d stock up on all their merchandise, electronics, whatever it may be. A lot of South Americans come in for their Blackberrys, IPhones. They’d buy everything, PlayStations, all the electronics they can get and bring it back there and sell it. Andrew: You know, I was living in South America for a year up until the end of last year. And, what I noticed was that electronics was sold so much more expensively in Argentina, where I was, that if you wanted to have your whole trip paid for, all you had to do was bring in an iPad or two, plus a couple of iPhones, maybe the Blackberry. If you just got that through customs you sold it online, or sold it to some friends, you’d make up more than the cost of your trip. Is that what they were doing with these people who were buying the electronics and kind of pushing it in on their bags? Yosef: Well, not necessarily. They shipped it the regular way. They shipped in the mail. They shipped it through customs the regular way. They didn’t sneak it. They paid taxes, whatever it was. Because they either had stores of their own, or they had suppliers, people there that purchased from them and sold them to local people to came to their store. Andrew: So that’s where the bulk of your sales were coming from? Yosef: That’s the wholesale part of it, I’m saying. Yosef: The wholesale part where people were buying there. Andrew: OK. Why you guys? Give me a sense of what made you guys so special that anyone would buy from you, let alone in bulk, when there are so many people online who would do that? Yosef: Right. And it’s the prices, more. It’s a lot the prices that we had. We had good prices, and we were doing the markup. We weren’t trying to mark up, you know, a million dollars on an item, ‘cuz we wanted to get it out, move it. Plus, you know, more quantity, with more you’re still gonna make the same amount. Andrew: How do you get such good prices, then? I mean, you’re competing against people who are behemoths in this space who have the money to go and buy in bigger bulks than you’ll ever be able to do, and bigger warehouses to store it, and everything that you’ve got, they’ve got more of. What was it about you guys that allowed you to nip at their heels and bring in almost a million in sales, as you said earlier? Yosef: We wouldn’t mark it up. We’d mark up a little lower, sometimes, on some of the product. And we’d always carry all the product that they always carried. We’d carry some of the items, you know, not necessarily the biggest item on the market. It was an item that sells, that people want, that’s not the most famous and common item on the market. Andrew: Give me an example. What was something unusual that other wouldn’t have carried that you guys did? Yosef: Well, we sold a lot of Blackberrys. Then, I guess, it was a big part of it. But we sold a lot of Bluetooth. I mean, Bluetooth we sold different kinds of Bluetooth. We sold bulk packaging. So it’s a cheaper way of going at it and you’re getting the same thing. Andrew: Bulk packaging. That means not the nice package that we see in stores, but what? Yosef: Correct. So it’s basically a sealed bag with your Bluetooth, manual, and your charger. Yosef: You’re getting the same product, it looks beautiful, it’s nice, it works 100%. It’s just not in your retail package selling for $120. Andrew: How do you get the product like that? Who are you buying from? Yosef: Well, we bought it from a local supplier. They’re not, we don’t sell them. A lot of these products, they’re not new product. We sell them as ‘mint’ or ‘like-new’ because there can be a customer that just didn’t like a product, so they returned it. And they were all tested for good. Yosef: So we resell it. Andrew: Gotcha. OK. Now I’ve got a sense of the business. I’ve got a sense of why there was a partnership. And help me understand where the seeds of the future trouble were planted. What were you guys doing at this point, when things were going well, that ended up coming back o bite you? Yosef: I don’t know explicitly. I’ll tell you as much as I know. I know for a time they started to order a little bit too much sometimes, it would be a little bit backed up and it wasn’t a problem. I think it was more… We had some charge-backs coming in and they were not keeping up to date on it. They weren’t keeping it, they weren’t replying on time sometimes. For example, they didn’t have a fax machine there, so they had to go somewhere to fax it. Andrew: OK. Right. And when you get a charge-back, you have to do it by fax. You can’t just go to a web page and cleanly respond to it? Yosef: You have to fax that back within a certain amount of days, or you lose it. Andrew: I saw, too, that there were a bunch of complaints at the Better Business Bureau, from people who has issues returning. People had problems with purchases that they made. Tell me about that. What were people complaining about? Why? Yosef: I guess it was… I don’t know the exact ramifications of what was going on there because I didn’t work in customer service. But I guess there were some times, then, that customer service was maybe a little bit strict. I mean, they were doing the customer service, so maybe they were tough or they felt, sometimes, that it was over the warranty or sometimes they didn’t accept it back because there was a product which was somewhat of a customer’s fault, but the customer didn’t feel that way, so they got upset because they wouldn’t take it back. Yosef: No. As of 2011, I have seen the complaint and I can tell you what’s wrong. But in the past, they were like that. Right now, we’re very in sync. We’re very easy with customers who return their products. If we can replace it or we can fix it, I don’t care if you’re a day over the limit or if it’s five days. If I can fix it for you and make you a happy customer, I’ll do whatever I can. Andrew: I gotcha. You go out of your way now. You give more than you promise and more than they deserve. Yosef: I mean, that’s what you’ve gotta do these days. Andrew: Yeah. But back then, what was going on? I want to know and understand specifically what was going on [??]. Yosef: Sometimes people were told, you have to pay if a package doesn’t come back, with all of the contents of course, you void the package, [??] the order number, and send it back, basically. Andrew: Send it back to the customer? Yosef: I mean, they weren’t very on top of the customer service, as they should have been, emailing or answering phone calls for customers. It wasn’t very tight. Andrew: OK. Tell me a little bit more about what was going on. Humanize it for me. I’ll tell you why. Because if we just leave it at that, people are going to say, “These guys were scumbags. Or these guys just didn’t know how to run a business.” And they won’t identify with you, and we won’t learn from you. Instead, we’ll say that you’re other than us, you’re just these guys who aren’t good businessmen, or you weren’t back then. So we won’t take any lessons away from this. Take me through a day where other things were maybe going on, and you couldn’t get to that. Tell me what the concern was that kept you from responding the way that you do today. Take me back then. Yosef: What the problems were then? Andrew: Yeah, back to that period. I know you weren’t running the show, but you were there. Yosef: Once or twice, they forgot to pay… Once it was the electric bill, then the phone bill. Then there was no internet and the phone line. When you don’t pay the bill, sometimes they turn it off. Then it takes 24 hours for them to turn it back on. Andrew: Why? It’s not because they weren’t responsible at all. They’re running a business. Why not? Andrew: Is it that there were so many orders coming in? Did that influence things? Yosef: I don’t know if it was because of so many orders, it’s possible. [???] You don’t realize that something else comes up. Andrew: OK. All right, so then the business gets into trouble; you start losing credit card processors, right? Do you remember the first day that one of the processors stopped working with you? Yosef: I don’t remember the first day. I just know that there were no orders coming in from any credit cards. Andrew: Suddenly there were no orders and you didn’t know why? Yosef: Credit cards, correct. First it was PayPal that stopped, and then what happened was the merchant service, the credit card merchant company. The merchant was not so fair with us for some things. Basically they didn’t comply with every charge back completely, so it becomes a problem for them. So they automatically suspended, and if it’s not fixed or whatever, they close it. Andrew: And when Pay Pal, which apparently was the first to shut you guys down, when they shut you down, what was going on internally, did you guys say, it doesn’t matter that’s Pay Pal, we still have these others, or were there alarm bells going off? Yosef: Not alarm bells, we still had the others so we were good. I know my brother, in the back of his mind he was saying how, we will fix this, and we will get back on their PayPal. They tell you 180 days they give back whatever money’s being held, I don’t know the exact days. They sometimes work with you after to come back . Andrew: So you were just thinking hey, this is just, maybe not an everyday business issue, but you’re saying, no big alarm bells went off, and you said, we’ll deal with it, we’ll fix it. Yosef: It was pretty vague, but we still dealt with it. Andrew: OK. PayPal goes down, when the second and third go down, at that point are there alarm bells? Yosef: Pretty much, yeah. Right when the merchant went down, once the merchant went down, that was basically it for the partners. Andrew: Merchant means credit cards, Visa, MasterCard. You can’t take those, you’re in trouble. Andrew: So you were starting to tell me what happened with the partners, what happened? Yosef: We got a little bit more, they were trying to work things out, my brother was even thinking about bankruptcy, between the debt and everything else he didn’t know what to do. Yosef: He was thinking about filing bankruptcy, you know, I personally told him, no, we can fix this, we can do something about it. Andrew: Why, why not just file for bankruptcy and then start fresh? Yosef: Because, I personally feel it has potential. Andrew: You did at the time, what was the potential that you saw? Yosef: I just saw that, that my brother had so much into it, and he knows, he really feels that it can go somewhere. And he put so much into it. The business, so might as well try to build it back up, don’t give. Andrew: Why not say hey, you and me brother, we’re going to start another business, this time under your name because you’ve got clear credit, and we won’t make any of the mistakes from before. Instead of trying to work hard to pay off this debt, we’ll work hard and pocket the money, and build a business on top of it, seven years later, the bankruptcy will be history, ancient history. Yosef: You know, I really don’t know why, but that would have been an awesome idea. Andrew: All right so he moves at home, what’s that like internally. Yosef: What happened was he wasn’t at him the, right when this went down. So I took whatever we had in the warehouse that was ours. I took it to our house to his bedroom, my bedroom, and I set up shop there and then I started from there. I started small time, I started listing stuff from my eBay account, selling a few items. Yosef: It was a little bit more complicated than that, because how we split up sort of thing, so it was more of that, whatever is more of ours I took. Andrew: What do you mean you couldn’t take the phones, what kind of split up? Yosef: We were keeping that product just to pay off somebody, part of the debt. Andrew: So I see, the phones had to go to pay off the debt. Yosef: Right, so they were going to take the phones to pay off a certain account. So that’s why we left it with them, to sell that. Random accessories or parts, we took that. Andrew: Accessories and parts and your personal eBay account is what re-launched the business. Yosef: Right, we started off with just with my eBay account, that’s basically how we started Small Time and eventually we had a relative who worked with a merchant company who helped us get back onto another one with very high fees. Yosef: Yes, because they saw they saw the prior problems we had. Andrew: So what are some of the products that you sold on eBay at first? Yosef: When I started off, I was selling random phone cases, batteries, broken phones, back covers, any random parts. I’m talking about whatever I had, anything I had. What did I have? I had any random batteries for phones. I had a modem. I had random phones that were defective. I sold them as parts. I had broken cameras I sold as parts. I had a few defective [??] I sold as parts. I was selling odds and ends, you know, just to start up my account so we could start moving. Andrew: And did you launch? Actually, it doesn’t look like you guys are still operating off of your account. You’re operating off of the main business account. Andrew: You are. So you eventually then started going back to the main business account and selling off of that on eBay. Andrew: I see. That must have been just tiny. What size sales are we talking about in the days that you were bringing it back? Yosef: A few hundred dollars a week. Andrew: A few hundred bucks. Yosef: Yeah, it was very small. Andrew: But it all went to your pocket. Yosef: Well, it didn’t go to our pocket. It went to paying our bills. Andrew: In the office or at home? Yosef: Those were the small, more important bills because the City, they go a little bit crazy on you. Andrew: What do you mean? What happens when you don’t pay the bills? Yosef: For the city, they’ll send you more bills. And every week they’ll raise it up who knows how much. Andrew: So if you weren’t in the office, why were you still paying bills for the office? Yosef: Because it was written out for the company, Thrifty Computer. Andrew: OK. And were you guys incorporated at the time? Yosef: Yes, we were LLC’d as of 2009. Andrew: As of 2009. So then doesn’t the debt stop at the company if you’ve got it? Yosef: What do you mean? Andrew: It doesn’t hit you personally. It doesn’t hit Elchonon personally. Yosef: It hits the company, right. Andrew: But you guys wanted to maintain the company. Andrew: You weren’t going to close down the business. Yosef: We had to pay all the bills. Andrew: I see. All right. How were you guys feeling at the time, by the way? Yosef: It was pretty hard. I mean, we weren’t taking any money to ourselves. I mean, we were living at home so it wasn’t that hard of a deal, but it’s still annoying. You can’t pretty much buy anything. Andrew: How did it feel to go back home? Were you embarrassed? Yosef: No, I wasn’t embarrassed. I knew, you know, this was one, there was no overhead. It is cheaper. It’s going to be harder, but it’s what you gotta do. Andrew: How old a guy are you? Yosef: I have just turned 22. Andrew: Just turned 22. Cool. The beard actually makes it hard to figure out how old you are. Cool. And your brother’s 26? Andrew: Cool. All right. So you’re starting to build this back up. What’s the next step after selling the little things that you can get your hands on and paying of the water bill and other small bills? Yosef: Well, I put back the phones up. And the site was up. It wasn’t really selling product right then and there. It was up, and I was basically having customers still call me up and asking me, “What’s going on with my product? I never got it.” And we had to tell people because our merchant account was not refunding the customers. They were supposed to officially call them up, tell them because they were holding from us like five, six, seven grand. Andrew: In order to pay back people who wanted refunds. And they still weren’t paying? They weren’t sending out the refunds? Yosef: So we had to tell our customers. They told us to tell our customers to file charge-backs. And we wouldn’t do anything about it because it’s not going to help. So they filed their charge-backs, and that’s how they got their money back. Andrew: I see. OK. What’s the next step? How do you go bigger? Yosef: Right. So we had a relative who helped us get this merchant account from a different company. Yosef: And we had very high fees. It was very, very tough because you’re paying so much. You’re barely getting anything. And they were even holding some of the money from the beginning. The money that went through, we would get a drop amount of it every settlement. So that’s how we started, slow. And we were still refunding a few customers who, like a customer who bought from a debit card with a $200 order. I personally had to write a check and send it out for them in the mail to refund them. Yosef: And this was a person that was on SSI. They were Social Security. They didn’t have any money, really. And I said, “This is what I’ve gotta do.” I’m not going to leave the person in the dark. At the end of the day the company’s responsible, so we’ve got to take care of them. Andrew: In the introduction, I said that this happened because of mismanagement by partners. I kind of got that from Elchonon’s email. What does he mean by that? What’s going on with the partners? Yosef: As of, what do you mean, then? Andrew: Before, yeah. I said that the reason that the trouble happened was because of mismanagement by partners. Yosef: Right. I mean, they were in charge of, you know, processing the charge-backs. Andrew: It was their responsibility to do it. Yosef: That’s what they were doing whether it’s orders, processing the orders or charge-backs or even customer service, let’s say. If a customer calls up and says, “We got an item that’s defective.” You’ve got to go through the regular way of making sure the customer has it sent back in, replaced, refunded. People were refunded, sometimes — which is a big thing, because sometimes if they get their money, that’s the worst thing you could ever do. Andrew: How did the partners break off? What happened to the relationship? Angry? Yosef: Pretty much. They still don’t talk. I mean, thank God they still talk to me. Andrew: They still talk to you; but Elchonon, no. Yosef: No. They do not talk to him. I don’t know if they don’t talk to him, or if they both don’t talk to each other. Andrew: I see. But he got to keep the company name. Right? And they didn’t. Yosef: We took the company, and we took all the debt. Andrew: Why did you guys take the company and the debt? Why not give it to them? Andrew: You just saw potential so much, and you wanted it. Yosef: Yeah. I mean, it wasn’t so much… Yeah, that was basically it. Andrew: You guys are Hassidic Jews. That’s why the beard and the yarmulke. How did your faith play a role here? What happened? Yosef: We try to be as honest as we can with the customers. Yosef: Yeah. Sometimes, it’s very hard. Andrew: You did? Tell me about that. Yosef: You sit there, you worked so hard, and you get into all this trouble. It’s like, I don’t know if I can get through this. Then God comes through, and you start building back up. Andrew: You feel like God came through? Yosef: I feel that He helped us, and He’s always here helping us. Andrew: Do you have an example of something that worked out that you feel, “It’s not us. It’s a higher power that’s getting this for us.”? Yosef: It is very funny, actually. Last week what happened was, I had an item I shipped out over two months ago. The guy filed a charge back, whoever’s credit card it was, because he never ordered it. We have a fraud filter which checks all the orders, but they sometimes let it go by for some reason. They still give us our money. But I went ahead and I contacted the post office, because I saw the item was never delivered. They found it, and they shipped it back. It happens to be that two days, a day before it actually got back — I didn’t know when it was coming back. They shipped it; you never know how long it takes coming back from California — I oversold on an item. That next day, the package comes in. I open it up, and — Boom! It’s the exact phone I need to ship out for that order. Andrew: I see. This is something higher. This is more than just coincidence, you feel? Andrew: So then, from point of view of your faith, how do you reconcile the fact that what happened, happened before, and what’s happening now? How do your reconcile the bad that happened before, and the great that you’re suddenly getting now? Yosef: Right. Sometimes, you’ve got to… Sometimes, unfortunately, you do bad — or not necessarily bad — but you have to learn from your mistakes to build stronger. You know you shouldn’t do it again, and you can’t necessarily trust everybody per se. You’ve just got to be honest, because you see how everyone else is, unfortunately. A lot of dishonest people. You’ve got to do the right thing. Andrew: All right. What else did you do to turn things around? Yosef: Well, as I said, we started the customer service. I personally was doing the customer service, and still am doing the customer service. I mean, I’m not made for customer service. I’m not the kind of person that can take everybody’s [??]. They give a little bit of attitude, I just have to take it calmly and go along with it. You try to be as nice as you can do, because that’s what’s going to build your business. You’ve got to be strong with them, and be nice. If a customer tells you they got a which product they’re not happy with, they don’t like for some reason, we charge a very small restocking fee. And that’s only if you want a refund; as to if a person just doesn’t like something, and they want a replacement, we do not charge anything. We take the phone back, and we just ask them for money to send it back to them. That’s all. As long as it’s within that warranty date. Andrew: I see. The number at the top of your website, that 800 number, that goes to you? It’s right behind you. If I were to call it right now on my phone, I’d end up ringing behind you? Yosef: Yep. You would hear it ring. Andrew: And you would take it? Yosef: Well, right now? If you want me to take it, I can take it. Andrew: No. I just wanted to get a sense of how the process works. Andrew: When you don’t love to do this stuff — and who loves to handle complaints from customers — you come up with systems for dealing with it, so that not every call is a brand new call, but you’re learning and adjusting the way that you react to people. Can you tell me about some of the systems that you’ve used to become good at customer service? Yosef: You’ve just got to stay cool. You try to not keep it too long, because then they start going into depth, and questions. If they start asking more things… Most of the customers are new customers, not really customers asking about their product. They’re call up, they’re saying, oh, you know, how’s this product, what’s this like, how much does this cost? I mean, it’s relatively the same thing as any [??]. Andrew: How do you get somebody to not spend too much time on the phone with you? I’d love to learn that. Yosef: It’s not easy. You gotta get to the point of what they’re calling about. If it’s about a product, you try to help them find the best product they’re looking for. If it’s about a price, or even if it’s about a product, you know, like a customer gets a product which maybe is not working well. So I’ll be very explicit, this is what you do, this is where you go. I’ll send you a return label. I’ll tell them straight up, I’m going to send you a return label. As soon as I get the item back I’ll call and let you know that I received it, and I’ll send you a replacement. So you don’t have to go through the whole process, just tell them what you need to get done and go take care of it. Andrew: What I caught by listening to you was you use short sentences, you’re very quick. You weren’t [??]. There’s something about the way you spoke that said, we’re not chatting here like old friends who are going to spend an hour getting to know each other in our passion for electronics. It’s like, you tell me what you need, and I’ll absolutely take care of it. Yosef: Pretty much. But there are some customers where, you know, they want to know about a product and I realize they really want to buy a product. I’m not here to sell to them. Of course I want to, but in retail it’s very hard to sell a person one phone, instead of like a wholesale deal. So I just try to sit there with them and tell them everything I can about the product, anything they want to know, and let them make their own choice. Andrew: You just quickly list off all the features of the product as soon as [??]. Yosef: I’m not really worried about this then. When it comes to that sort of thing I go a little slower with them so they understand what they’re buying, so they don’t come to me later, oh, I bought the wrong item. And then I have problems. Andrew: What can you tell me about sales today? Yosef: You mean you’re looking for amounts? Yosef: I said for example, on eBay, we sold on our eBay account, we sold in the last, what were the dates? In the last eight days on the eBay calendar we sold $8,000. Andrew: So $1,000 a day for the last eight days? Yosef: No, in the last 30 days we sold $8,000. Andrew: $8,000 for the last 30 days. Yosef: We’re still building up, and moving a lot more on there. Yosef: On eBay. In 120 days we sold $15,000. Yosef: So we’re still building up our eBay. Andrew: $15,000. What about on the website? Yosef: The website in the month of June we sold $40,000. Andrew: $40,000 on the website. Andrew: Oh, the website’s doing better than eBay. Yosef: Right now, because our eBay is still fresh. I mean, we’re going to have beautiful feedback and everything, but we’re still starting pretty fresh because we were closed for awhile and got it back. So we’re still building up, you know, the name, the product. We had to add more product line ‘cuz there’s new product. So it’s a lot harder, different. Andrew: eBay shut you guys down? Andrew: eBay, eBay shut you down, too. Yosef: Yeah. Basically around the same time as the PayPal. Andrew: How did you get back on eBay? Yosef: It’s not usually possible. We had one person we were close with, he helped us connect and speak to eBay. They first put us up. We were just showing on, what’s it called? Not PayPal. Money Bookers. And they’re very, it’s very small, I’m talking like, we were just selling for feedback. We were just selling cases, nothing [??]. We got cases, and were selling cases. Andrew: Just so people would give you positive feedback? Yosef: That’s it. We weren’t even making money off it. We were selling it, and we started selling a little bit more. And basically, after, this is how we got our PayPal account back. After a certain amount of selling, months of selling and a perfect feedback, you know, people are happy, and PayPal gave us back our account. But they were still holding some of our money, and fees. And eventually, after a certain amount of time and they saw that no charge backs, no complaints, no cases, all happy customers, they put us back into full running and working. Andrew: Did you even have somebody at eBay to contact? Yosef: Yeah, we had this one guy that our friend of ours helped us with. Andrew: I see. OK. So getting $40,000 to a website, that’s not easy. What’s the channel that you guys use? How do you guys get so many customers? Yosef: We do a lot if the pricing is good. We also do a lot of our own SEO marketing. We do Facebook, of course. Andrew: What are you doing for Facebook? Yosef: We try to advertise it, get more people to like our page. Andrew: And you’re getting customers from Facebook? Yosef: Not really getting customers. I mean, I don’t know that per se. I can’t really tell if we’re getting customers. But people still see it, so they keep it in mind on other people’s pages. A lot of it is on more different [?? ], also on reseller ratings, there’s a lot of different websites which put your name up there and people search for an item. I’d say some of our items that we sell, that nobody else sells, will come up very high up on Google, because it’s a good price and nobody else has it. Andrew: OK. So, what’s the biggest source of customers for you guys right now? Andrew: I mean traffic for your website. Andrew: So SEO is the best marketing that you guys do? Yosef: Yes, and actually the SEO, we’re more to building it up right now because we’re moving over to our new site soon, but also the SEO, which you don’t have to hire people to do. It’s your own work. Your own research. Your own feeds, and that’s basically the best way to do it. Andrew: But, am I understanding right, that search engine optimization has delivered you the most customers? More than anything else? Yosef: It’s more the prices probably. Yosef: It gets you up there on Google also. Because there’s so many. There are industries, as you said before, the companies out there are so big. It’s like if I did a paper click for cell phone, Blackberry, I would have to pay, it’s not even worth it for me because these companies like Sprint, A.T.&T., they own Blackberry. Yosef: So it won’t get me anywhere when I’m fighting against the biggest companies in the market. Andrew: So then what you do, is you offer lower prices and then when people do searches based on prices, you come up, they check out your website, they say OK let’s give them the business because it’s so cheap. Yosef: It’s cheap, they like the product. We are very honest with our listings. If it’s refurbished, it’s refurbished. If it’s new, it’s new. If it’s mint, it’s mint. Andrew: Looks like you guys are targeting people who are looking for unlocked phones. Andrew: So if I were like a normal Google user, I’d type in unlocked phones and I wouldn’t come up with you guys, even maybe what I might do is go to the shopping. I still don’t think I would come up with you. Yosef: … go to shopping and look there you might see us there. Andrew: OK, got you. All right, that gives me a sense of it. So, you’ve been through a lot. What piece of advice do you have for entrepreneurs who are listening to us right now, based on your experience? Yosef: You got to be one, you got to be the nicest to the customers. That’s what brings you the business. You got to be all open to them. Make sure you’re honest with them about everything. I mean if an item is not in stock, you tell them you oversold an item. Not tell them oh the item’s coming in, it’s not here yet, it’s going to be in. You got to be honest with them and they don’t care. They will be very straightforward with you and they’ll be OK fine I’ll wait. That’s all it is. If you lie to them, they might say yes now, but tomorrow they’re going to find out you were lying and will be all mad. And you got to be just on top of everything. Look at all different parts of the business or industry that you can get on to and do business with. Andrew: I see. So it’s customer service. You lost my attention there just for a second at the end because I was still testing to see if what you said if I could bring it up and sure enough yes, I did refurbished iPhones 3GB. I end up with on Google products search Amazon.com, $405. Buy.com is the second listing, $374. Third listing, there it is, Thrifty computer.com $259. So $259 versus $405 from Amazon. Andrew: How is that? And then you guys also get people in on the contract? Yosef: No, we don’t do any contracts. Andrew: You guys don’t do any contracting? You’re selling an Iphone3GS for less than Amazon. Andrew: How do you that? Yosef: We have a supplier in which we get our parts from who gives us good pricing, and we try to make our money so we can sell more quantity and not necessarily sell for so expensive, because we want our customers to be able to get the phone and be happy with it, and not have to go to pay so much money. Andrew: Is shipping and handling crazy? Let me see. I just hit ‘add to cart’. Let’s see if that’s where it is. No. Not even crazy shipping and handling. Yosef: We charge exactly what UPS would charge us. Andrew: So it’s not even handling. It’s just shipping. Yosef: It’s just shipping. We’re trying to set up that UPS will automatically be connected to our site, so automatically shipping charge will change. So we don’t have to be charging customers more. Yosef: Because they change everyday. Their prices. Yosef: Today at $7.00, and tomorrow it’s $6.25, let’s say, we want it to automatically change so everything will change like that. Andrew: Well, this is a great story. Congratulations on turning things around. I probably would’ve just said, ‘All right, let’s kill my own personal identity, partner with my brother, use his Social Security Number, something like that.’ I would have been too scared to continue. I admire that you guys stuck with it and I’d like to think that I would stick with it under those circumstances. How about getting your brother back on and we’ll say good bye to him too? Is he around? Andrew: I just wanted to say congratulations and thanks for doing the interview. Yosef: He wants to say thank you for doing the interview. Elchonon: All right, thank you for the interview. Unfortunately, I wish I would have been able to communicate with you over the interview, but my hearing is getting better in understanding so it’s making things easier to communicate with both my brother and everybody else. So we hope to grow. I have to say that Thrifty Computer is not just a business, but it’s more of an idea to be able to provide customers with a high quality of service. A number of times I dealt with large companies and I think to myself, ‘I wish I would be able to provide better service.’ I once accidentally bought the wrong book, it was 1,300 pages, the wrong version. I went to return it the next day and they wouldn’t take it and I’m like, ‘What? You’re kidding me. I read 1,300 pages overnight?’ I just wanted the other copy. So we tried to put ourselves in the customer’s shoes, as consumers, as people who want to buy something. It’s not just about making money, but building with the customers, and building a business to last. Andrew: I like that, that’s my big take away from this interview too. It looks like that’s the big lesson that you guys learned and it’s the one that I’m picking up from just listening to your past experience and what working for you now, just insane customer support, just do as much as you can because otherwise people can very easily can go and complain online. If you do right, they can very easily be very grateful online, too. All right. Well thank you for doing the interview. If anyone else has any feedback on this interview, my interviews in general, or has a story about great customer support, come and tell me. I’m always looking for customer service stories. I want to hear how other people do it. My name is Andrew Warner and the website is, let’s give it once more, thriftycomputer.com. Thank you, guys, for doing the interview.